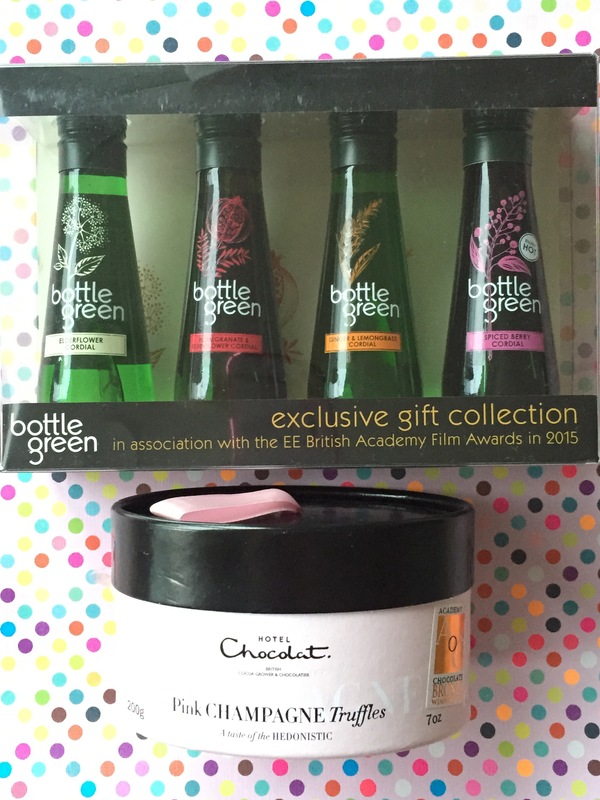 BAFTA Goodie Bag – I’m lucky enough to have one!! I am VERY excited to tell you all about this completely amazing prize that I won recently. I’m sure that you will all be familiar with the BAFTA awards. If not, it’s basically the British version of the Oscars. 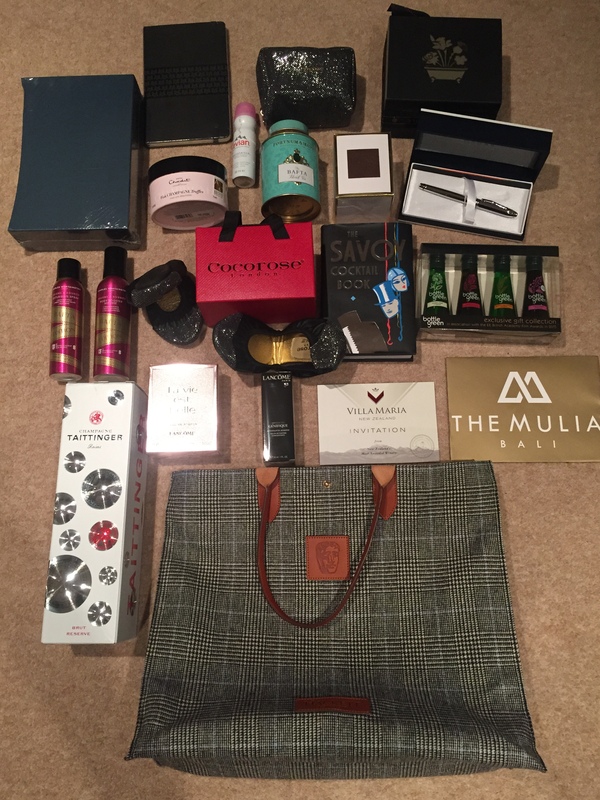 When celebrities are nominated for a BAFTA award, they are given an out of this world goodie bag filled with some of the most desired gifts as well as well-known brands. I was VERY lucky to have won one of these goodie bags courtesy of the EE British Academy Film Awards. So here’s what was in it. 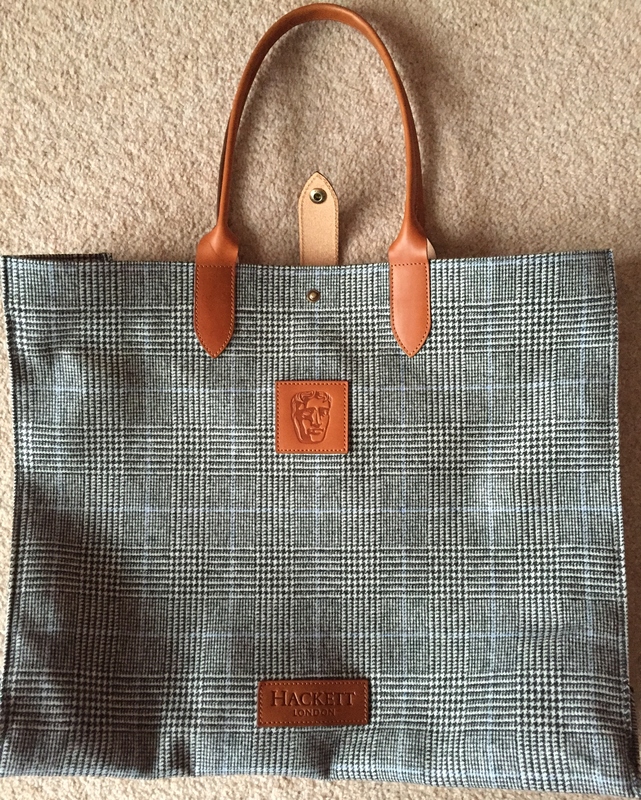 First of all, everything came in this huge tote bag by Hackett. It is a fabric tweed material with tan leather detailing and handles. 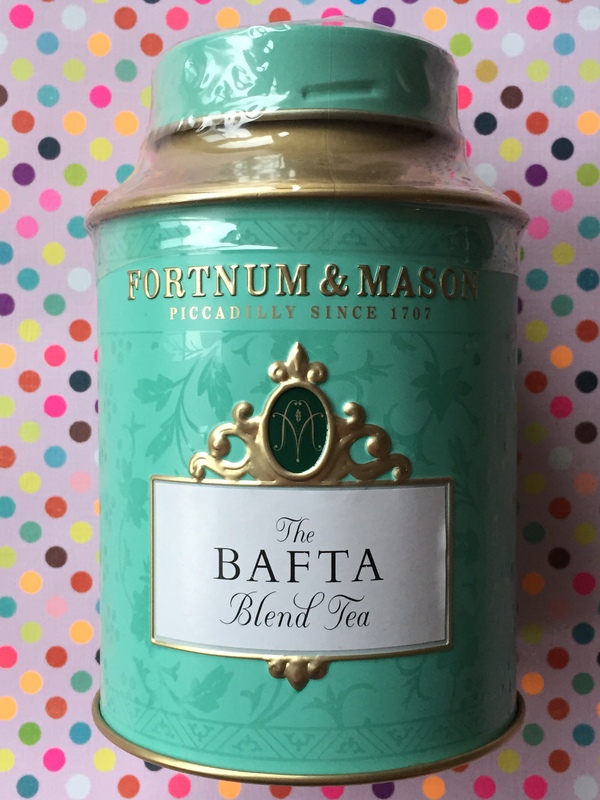 It is limited edition as it has the BAFTA logo embossed onto the front. Inside it has a large zipped pocket. I would say this is perfect for travelling as it holds loads!! There was a bottle of Taittinger champagne and on the bottle itself it has the BAFTA logo on it. This bottle is definitely a keeper once the champagne has been popped. Bottle Green waters are my favourites. They are sparkling water with flavours such as pomegranate and elderflower, ginger and lemongrass, elderflower and spiced berry. These are the cordials which I’ve never seen before! Very excited to try them. You just add a little drop into a glass of water for what I would say, a taste sensation! Hotel Chocolat is a chocolatier. These pink champagne truffles are so delicious!! I will definitely be indulging in these later. Sticking with the drinks, next up is this Fortnum and Mason Tea (it’s the tea that the Queen drinks!) in of course a BAFTA blend!! This is so cool, I love the tin and once I’ve used the tea I will be using this tin to hold all my make up brushes. Definitely one of a kind. Moving onto beauty now. 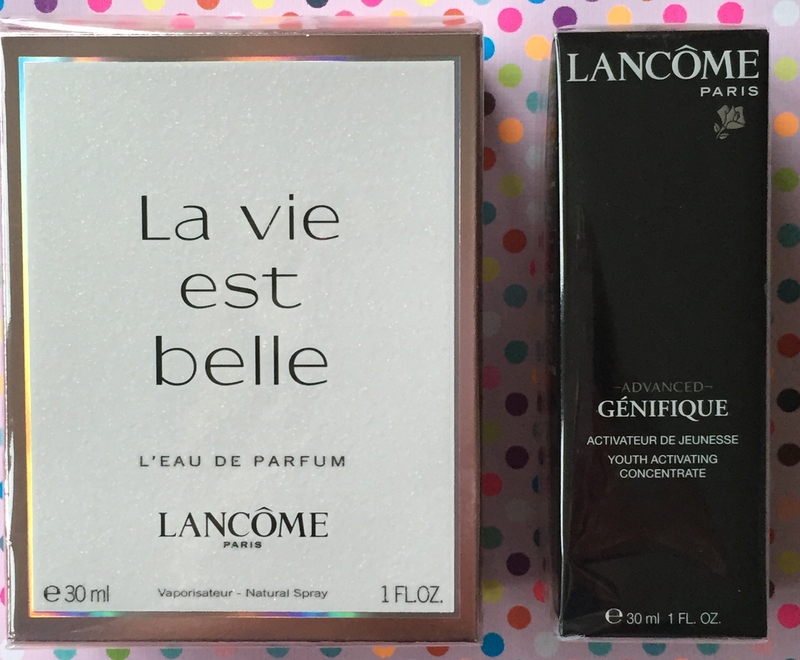 Included were these newly released products from Lancome. Firstly the Genifique which receives amazing reviews for making skin feel silky smooth and retaining and boosting its youthful glow. The fragrance, La Vie est Belle, is a florally scent. It has notes of jasmine, orange blossom and patchouli. Very pleasant and fresh fragrance which is perfect for Spring/Summer. 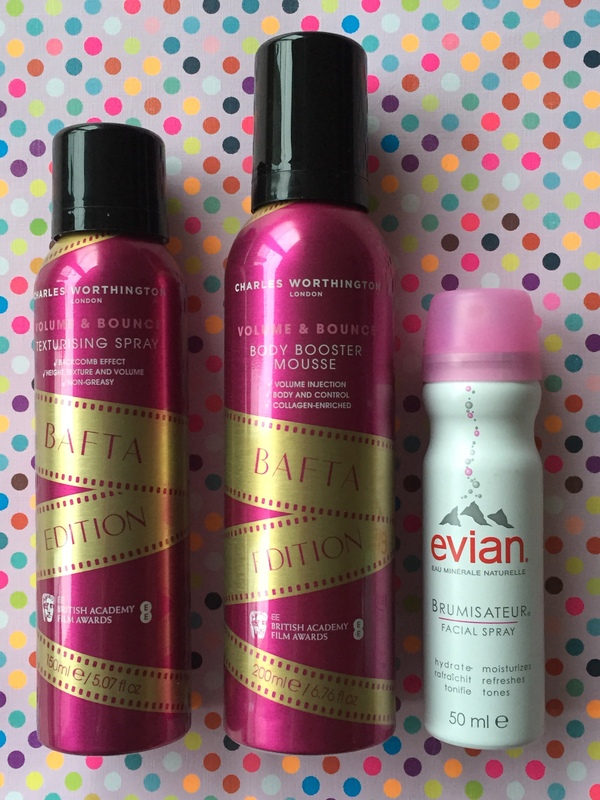 Charles Worthington was one of the sponsors of the 2015 BAFTAs and were responsible for styling the hair of the celebrities in attendance. 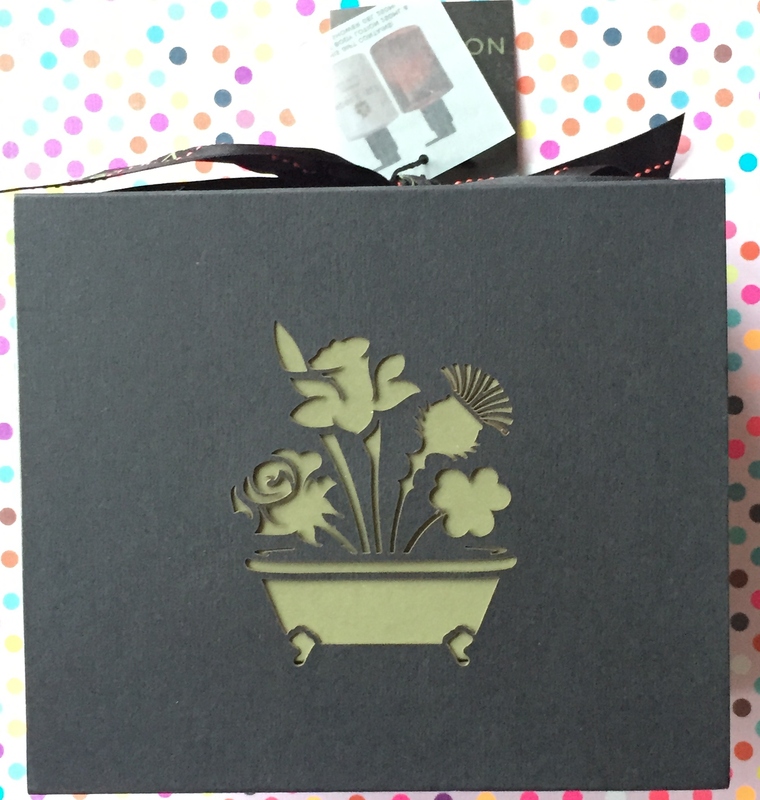 The volume and bounce range comes in this BAFTA edition packaging. The body booster mouse will inject volume, body and control. It is collagen enriched so not only good for the hair but non weighted. Additionally I received the texturising spray which will add height, texture and volume, similar to the glamorous looks on the red carpet. I do love facial sprays and have trialled out quite a few. Evian’s version is great as it moisturizes, refreshes and tones. It has a slight floral fragrance and is cooling straight from the can although I like to keep it in the fridge for that perfect wake me up in the mornings. It can be worn over make up without leaving a noticeable trace. A must have item when the warm Summer nights arrive or for going on vacation. Noble Isle isn’t a brand that I am overly familiar with however the packaging is so adorable! Inside contains a Fireside body lotion and a bath/shower gel. It has a very luxurious pampering vibe to it and leaves the skin feeling very moisturised and like silk. 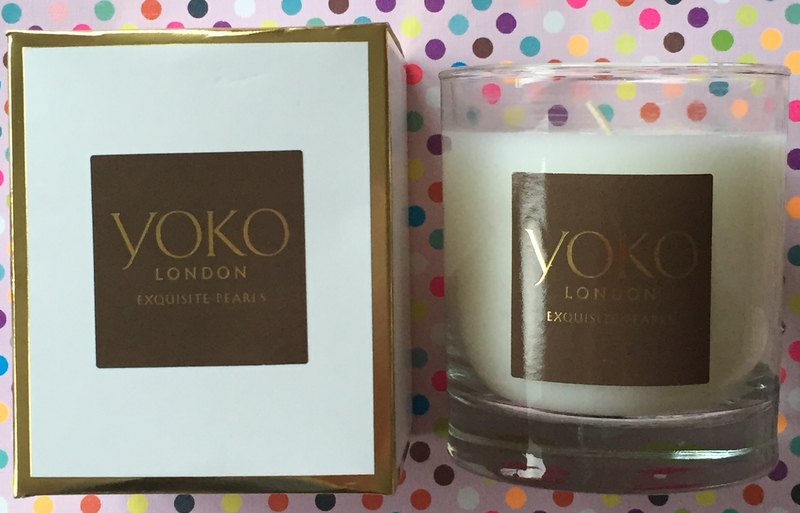 This candle by Yoko London smells delicious!! It reminds me of my childhood and Christmas. It has a cinnamon scent which is by far my favourite candle scent. Very happy with this and also unexpected as its white. Usually cinnamon candles are brown/copper coloured. The white does add elegance and looks perfect on my bedside table. 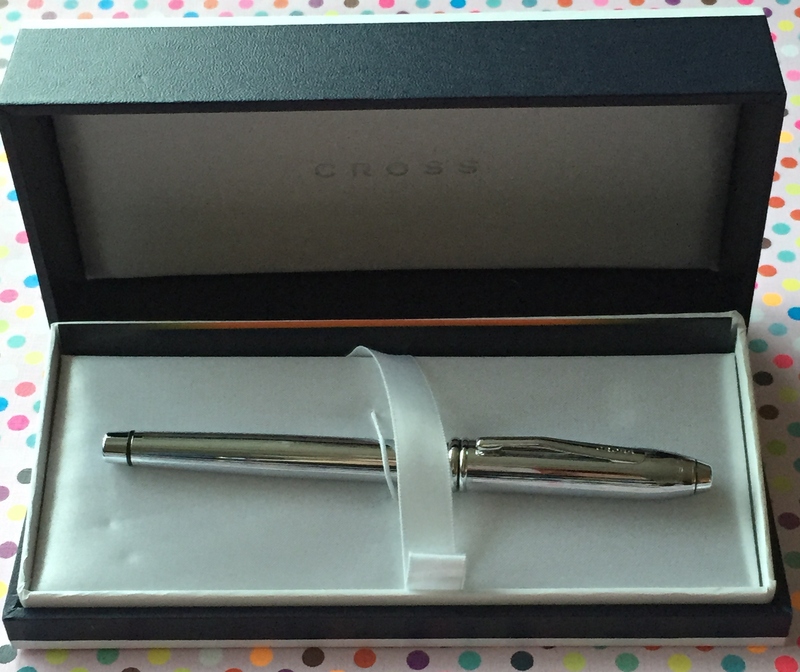 I received this very shiny silver pen by Cross. This is definitely a pen which adds sophistication. I’ve been meaning to purchase the fold up ballerina shoes for ages as I think that this is such a great idea, particularly for nights out when you need to switch from heels to flats or even for just for walking to work. In London it’s pretty much essential to have flats on to navigate your way quickly through the tube stations. 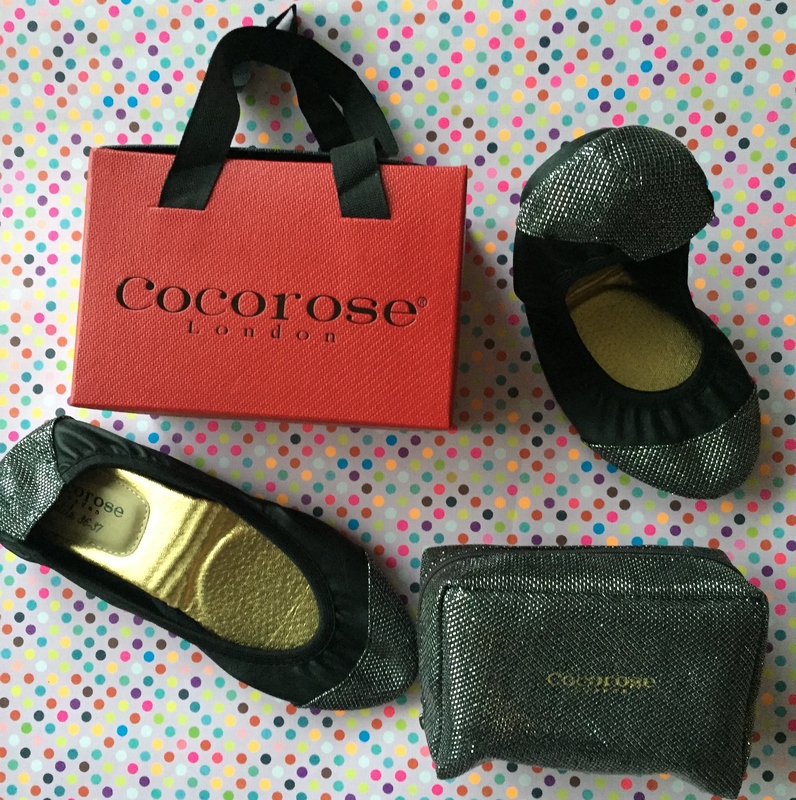 These ones are by Cocorose. They are black with sparkly detailing on the toe and heels. They come in this sparkly bag so you don’t need to worry about slipping these into your handbag. They came in my size which is an added bonus! There were a variety of books. Firstly this black moleskin note book with elastic closure. These are very handy for work when you keep extra cards/paper within your notebook as the elastic prevents things from slipping out. 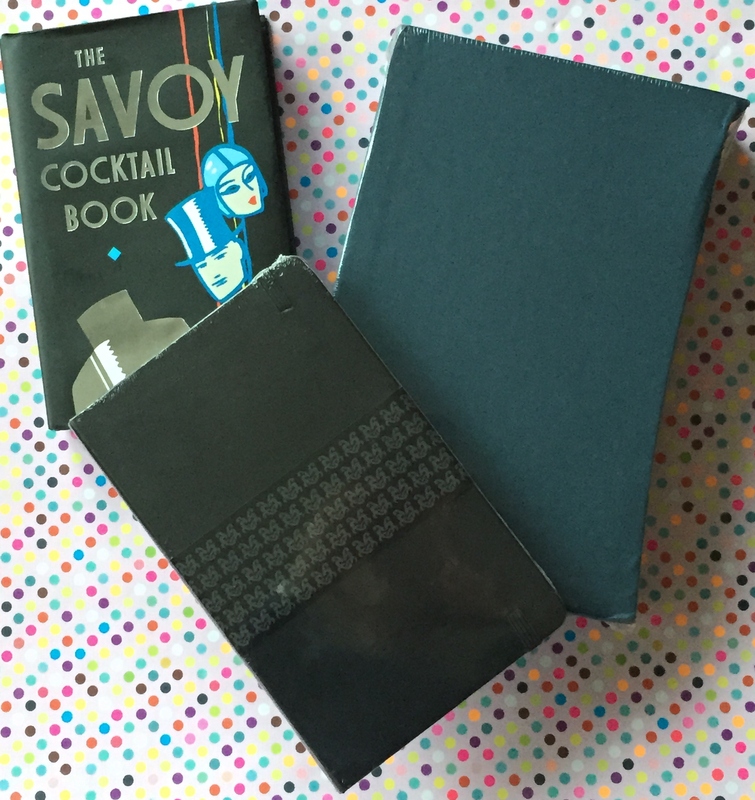 There is also The Savoy Cocktail Book. The Savoy is a very famous hotel here in London and this is a book filled with 750 original recipes. I may have to make it my mission to attempt to make all of these, although I think it may take forever to do. Also, there was this huge Charles Dickens novel – David Copperfield. And finally, the most amazing part of the prize was winning a 7 night stay in The Mulia, Bali!!! Based in Nusa Dua, this 5 star resort is the definition of beauty and luxury. It is ranked No 3 of the top 100 hotels in the world, by Conde Nast Traveller 2014. You really have to check out this resort to see what I am talking about. It is literally breath taking!! ← Happiness starts with… A Statement Necklace? ?